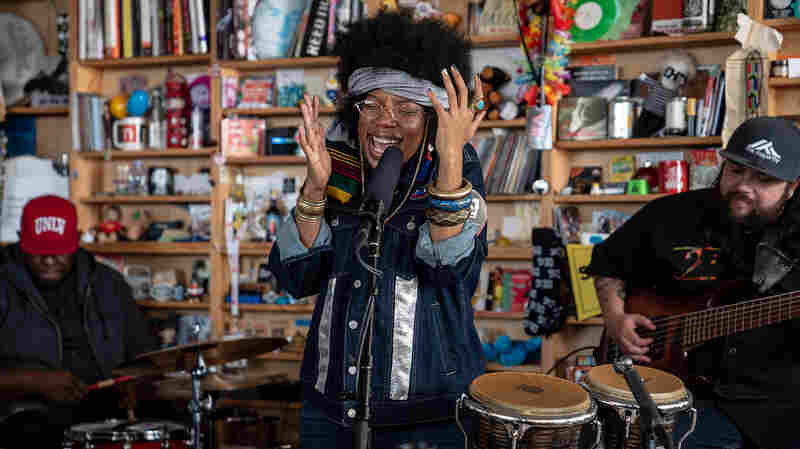 The Arcs: Tiny Desk Concert It's our 500th show at the Tiny Desk, featuring The Black Keys' Dan Auerbach and the new band he started with Richard Swift, Homer Steinweiss, a Mariachi band and more. 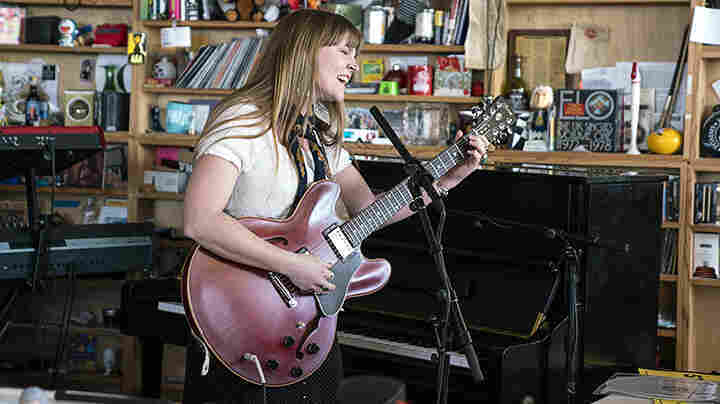 Today, we celebrate the release of our 500th Tiny Desk concert. It's amazing that something that started as a bit of a wisecrack has been so widely embraced by artists and fans. 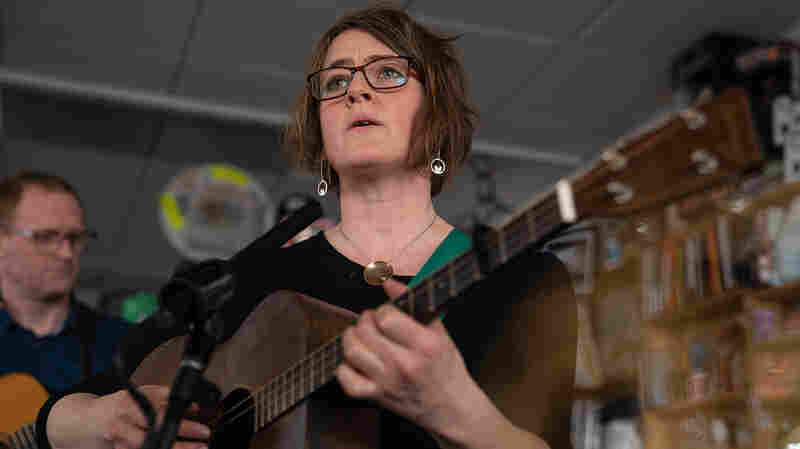 In 2008 at SXSW in Austin, NPR Music's Stephen Thompson and I met up to see singer Laura Gibson. Laura was so quiet, and the crowd was so loud and rude — something about a March basketball game — that Stephen jokingly asked her to come play at my desk so we could hear her. My lightbulbs went off, and a month later, Laura came to D.C.; I was ready with a couple of cameras, a microphone, my desk and a chair. 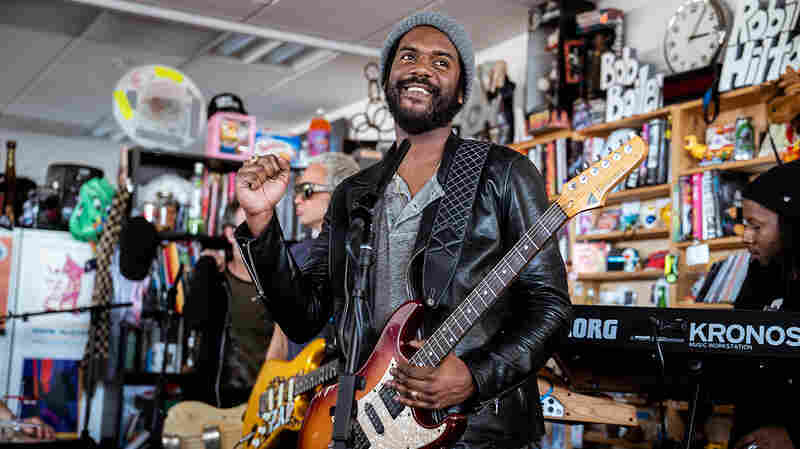 In the years since, we've had the privilege of enjoying intimate moments with Adele, Tom Jones, T-Pain, The Tallest Man On Earth, Mavis Staples, Phoenix, Reggie Watts, Andrew W.K., Kacey Musgraves, John Legend, Ralph Stanley, Sylvan Esso, Lianne La Havas and 486 more. It's a list that includes opera singers, Romanian brass bands, legendary bluegrass singers and pickers, a Colombian jazz harpist, a bagpiper, legends of country, jazz, rock, R&B... and, most importantly, artists unknown. 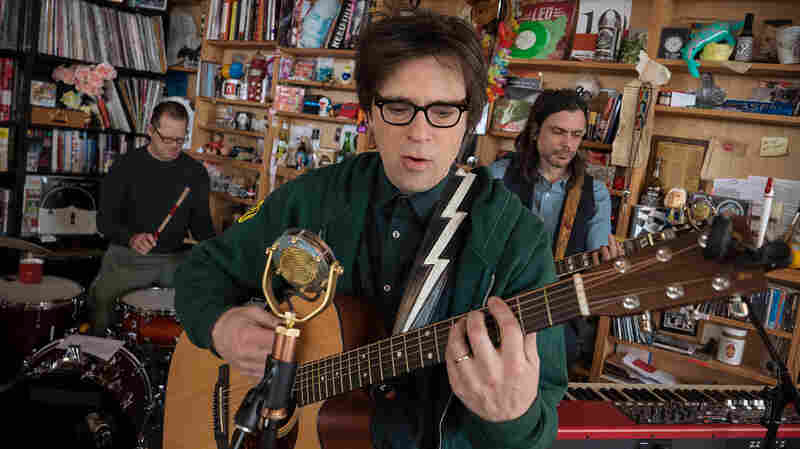 This Tiny Desk Concert with The Arcs is a perfect intersection of the known and the unknown. The band is headed by Dan Auerbach, whom we know from The Black Keys. 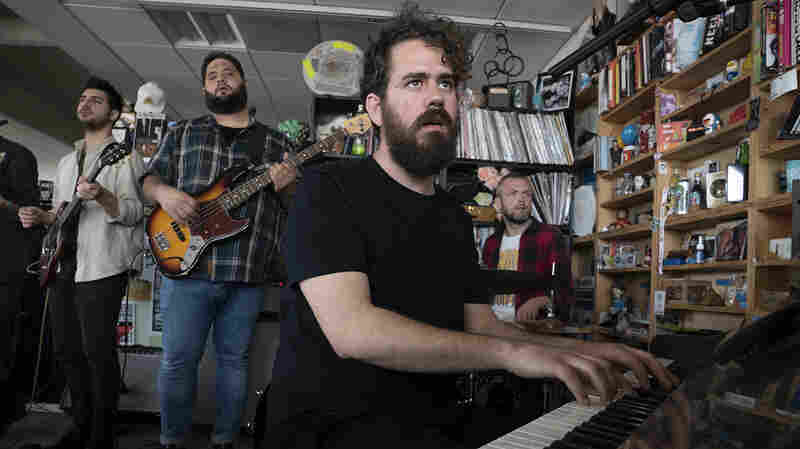 It's also fronted by Richard Swift, one of the best modern producers of intriguing pop music; he can be found on drums in The Arcs alongside a contemporary R&B drumming legend in Homer Steinweiss, known for his work in The Dap-Kings and with Amy Winehouse. It's a bundle of talent that also includes the Mariachi band Flor de Toloache, which provides backing vocals and plays violin, trumpet and guitar. The songs from The Arcs' album Yours, Dreamily provide a finely crafted blend of soul and pop, with enough playfulness to keep it fun, not perfect. 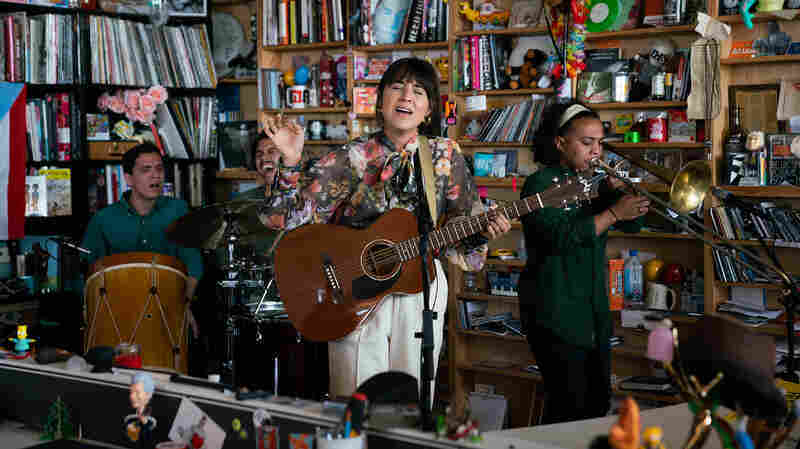 That's the spirit of the Tiny Desk: It's casual, with a mix of artistry and adventure that's different from hearing a record or seeing a band on a big stage. It's a tiny window that's both intimate and a bit awkward — and always revealing and entertaining. 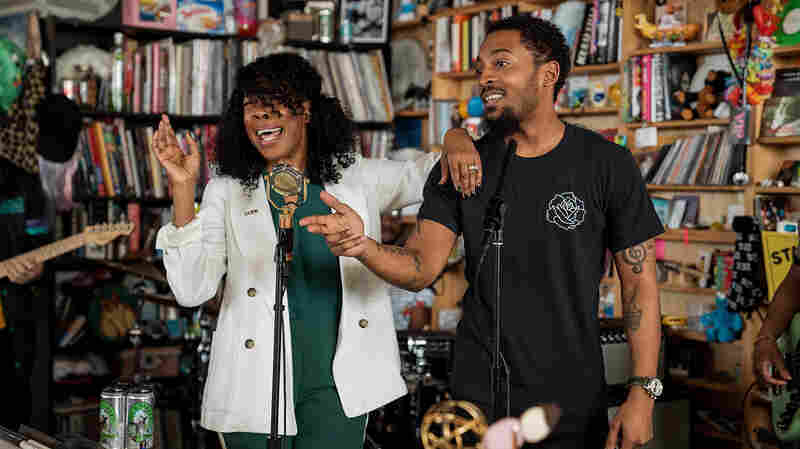 For more Tiny Desk Concerts, subscribe to our podcast. 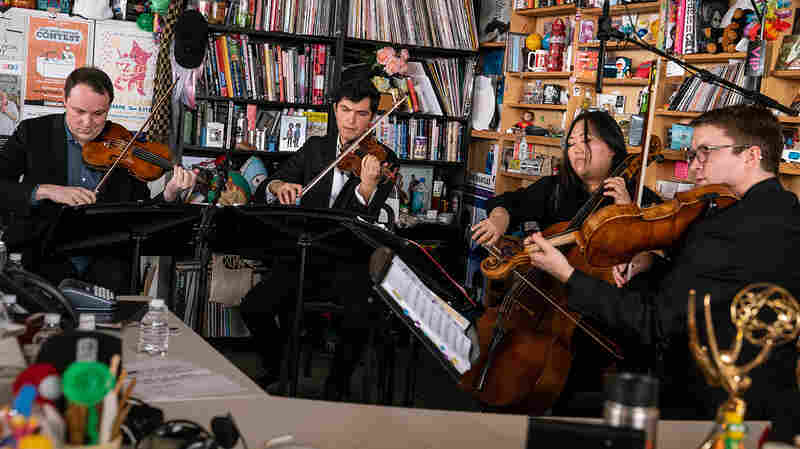 April 22, 2019  The Calidore String Quartet confirms that the centuries-old formula – two violins, a viola and a cello – is still very much alive and evolving. 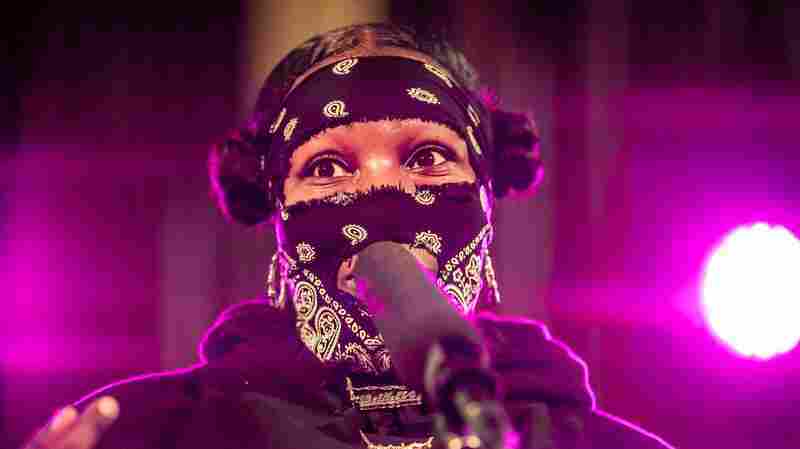 March 22, 2019  The charismatic, genre-smashing masked rapper closes NPR Music's big night with intensity, joy and free-wheeling fervor.